Imaginationz @ my mind | All that comes to my mind. Rarely a movie makes me emotional or gets tears in my eyes. This was one of them. Emotions were mixed – happiness seeing how each member of the family was knit together, especially the father and son ( Jacob and Jerry ) . The story unfolds in one of my favourite cities ( Dubai ). The family is something which we all can relate to, a middle-aged couple Jacob and Sherly, and their four children. All children has different characteristics, the elder son being more responsible and someone whom his father banks on. Again something which most of us can relate to. And then there is a studious sister, a modern hippie musician younger brother and a smaller nerd brat. The entire story is the same old wine, however, repacked and served in a new bottle. However, this new bottle is something which a new modern family would like it to be. There is a crisis in the family and it is how the four children react to the situation in their own way. Emphasizes on how each one of us see a situation and respond to it in our own way . My favourite part of the movie is the bonding shown between the members of the family, each bond being different in their own aspects, is strong. The picnic which Jacob plans knowing that her daughter has to stay away from the family soon for her higher education. He requests his son to use the old film camera (which was the first thing Jacob had bought with his savings) for the picnic instead of a modern digital one. On his son’s question, that the old camera will expose only few pictures, Jacob’s reply to that was the memories those few picture creates are valuable. Inferred to the fact that we all use digital cameras and we can click many more pictures we almost click everything wanted or unwanted, but when you know that you have limited shots to expose we exactly know which are the special ones which needs to be captured. Anything limited psychologically makes it more special. I have rarely come across a movie where each character ( including the car ) has made an impact. Every character is neatly scripted and they all evolve in their own way. It surprises me how a young director Vineeth Srinivasan can handle a mature subject as this with ease, I am sure it would not have been an easy task for him. Jomon T John one of the finest cinematographers today, has shown us Dubai in simple yes mesmerizing way keeping it with the pace of the film. My favourite shots were the ones which were created using the car window reflection. And not to forget the actors involved. The casting was special. Nivin Pauly – He has evolved as an actor. In this movie he proved that he is versatile and take up any challenging role. Renji Panicker – Probably one of his finest performances in front of the camera, still can’t believe he is the same who directed Bharatchandran IPS. Lakshmy Ramakrishnan – The strong mother. Can’t imagine any other character actress fitting in to the role. Sreenath Bhasi – Even though it was the same ‘yo yo’ guy role he does in most of the films, this one was matured. Go catch this movie for a good emotional ride – for the laughs and maturity. I am very sure once you watch this film, you will get back home for a family dinner together! This has been one of my favorite quotes since I heard it sometime back in a movie. And yes, each of the three things mentioned above surely matters when it comes to being happy in life. Even though the first two points are important and I consider them easier than the third one. Let go of things not meant for you. And to decide if something is meant for you or not, its a huge task for someone who is light hearted. Light hearted people fear of the pain they would have to go through and the memories add fury to that pain. Memories are dangerous beings. I believe the ability to forget is a blessing in disguise. It might not be easy to do it, but yes its the only solution to encounter the dangerous demon called memories. Some memories does bring in a smile on your face, but they are short lived when reality slaps and makes you realize that the time has passed from past to present and then it would move in to the future without those moments and people. As the process of forgetting takes time, the more powerful solution is to let go of them. It’s isn’t a easy process and takes time combined with a strong heart to take a decision and then letting your brain concentrate on other things which you really loved doing. I have had personal experiences seeing people who did some amazing and appreciable stuff once they moved on. And now they are super happy in their lives. Memories vanishes with time. The pain is during the journey towards that happiness. 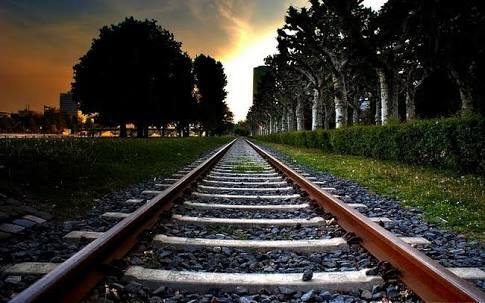 Metaphorically memories are the stations that we left behind, and happiness is the destination. To reach the destination, we need to take the journey, however painful it is. And the ticket to the journey is the decision to let go of things, the memories attached to them. I am about to begin such a journey, currently in the queue to get that ticket. Off all the things I had believed in, surprises and then what surprises you may be at any moment in life. Both are different, to realise that difference you ought to live in the moment. All of a sudden you meet someone and then you entirely fall for him/her is magical and magically surprising. You sometime have to believe that you had to travel through 30 years of your life to come across the destination you love and you are completely mad about. Destiny is what brings you to that destination, I am sure or this is what I want to believe. Its like a new city you move in to, you might like it or you might not. Happens vica versa too, where a city might like you and it might not. It in a way would care for you like a blanket on those cold mornings where you don’t feel like waking up, yet, to survive in that city or to say with the city you have to pull off the blanket, get on to your daily routine so that the city respects you. The city wants you to be happy when you stay within. Even though I used city as a metaphor here, to may be a relationship. Something which sounds complicated. Yeah! Whats not complicated in life nowadays! The worst part of this complication is the distance it can build. A distance which you don’t want to happen.. a distance you fear off! However, I am sure that this is the city that I want to live in and live with. Once you are sure about it, we find a pleasure in covering those distances. Lets fight for those distances, make them smaller and yes at the end of the day, lets love where we live in or yes to break the metaphor lets love whom we live with and lets love them more whom we want to be with. I couldn’t find a single step by step instruction guide on how to root the new lava iris X8 device anywhere on the Internet. Caution : Even though I tested it successfully, I don’t take any responsibility if you brick your device following the below steps. However, I will surely help you in case of any queries. Step 1 : You need latest version of ADB drivers. ADB stands for Android Debug Bridge and these drivers help you to communicate with your Android device using your PC. To install drives for Iris X8, download the files from this link. Extract the contents of the downloaded file to a location. Connect your phone to your PC through a USB cable. On your PC, navigate to control panel and click on Device Manager. Find your device listed and choose to update the drivers. Navigate to the location where you extracted the drivers and install them. Disconnect your device from the computer. Step 2 : Download and install Kingo Root on your computer from this link. Make sure you have enable USB Debbugging Mode, under settings on your Android phone. If you are unsure on how to do it, please follow steps on this link. Run Kingo Root on your computer and connect your device. Please note that your phone might get turned off few times in between. Turn it on again and continue with the steps on Kingo Root. Your device should be rooted in less than 5 mins. Please let me know if you encounter any errors through the comments section. Note : You will loose warranty of your phone if you root it. However, in my opinion it is worth it when you have the complete power of your phone. Published through a rooted phone. Its been a while I blogged or wrote, but this piece of poetry moved me. Probably one of the best lyrics I have read/heard. Speaks about someone who is nearing his end, and how he would love to end it. Moved by this one. We come to this world may be of no-choice ( its just a sperm who does the crime), but we can choose to exit in a way we want to. The only intention is to celebrate the phase between the entry and exit. 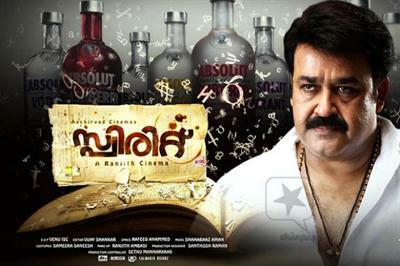 Written by Rafeeq Ahmed in Malayalam for the wonderful movie called Spirit which deals with Alcoholism and Narcissism. The YouTube link below has the entire song, and yes for many people like me who doesn’t understand the poetic Malayalam/ or even the language can follow the translation below. Let the fingers numbed by wading through embers be soothed by touching you. Near the end please my dearest sit for a while by my side. Loved the pain and the romance in it. This track composed by A R Rahman for the movie Vinnaithandi Varuvaaya in tamil is going places. What provoked me to write a blog about this is when a old client of mine, a german messaged me on facebook to send him more songs from India similar to this composition. He said.. “Loved this song Aromale from India by AR Rahman, what language is it? Hindi? Had a floyidish trip! ..”… and I replied … “No Dan! This is a regional language in india called malayalam”… his reply.. “Ah I dont care, I am in love with this track… Dont care what he says.. but is addictive!” . Those who love Pink Floyd would love this. A unique composition. Takes me to the 80’s classic rock as well as Carnatic concerts. All mixed in to one. Music cant be better than this for me! Chanju nikkuma chillayil nee, chila chilambiyo poonkuyile..
Mezhuguthirigalai urugavidinyum pralayam manasil undo? Superbly written by the great Malayalam Poet Kaithapuram… Sung by Alphonse Joseph … This track is a worldwide hit! I just cant get enough of this song! This is a very controversial post… So people who believe in the concept of peace, can stop reading it now. And what I meant about the ‘people liking peace’ is the set of people who believe in peace on Facebook by liking the ‘V hand Signal’ by Pablo Picasso. I love a peaceful life too… I want to be safe while walking on the road at midnight holding a laptop and be sure that i am not attacked for it. I want my female friends to be able to walk on the road at 1 AM in the night without the worry of being attacked and raped. And I would love to have a picture of me shaking hands with the Pakistani Soldier on the other side of the border, smiling and post it as a profile picture on Facebook! – Do you think all of the above can happen? Call me pessimistic … I don’t! The so called peace lovers… human right activists…. can you justify what had been done to Saurabh Kalia ? To brush your memories … http://en.wikipedia.org/wiki/Saurabh_Kalia … please read. For the Kargil war as per estimates ( which i believe is wrong, the number is more ) 527 soldiers lost their lives in the war.. I know at least 6 of them personally. Was it a war which we waged against Pakistan ? I am sure you would agree .. No! Still we have to deal with the mujahedeens … with a plane being hijacked… parliament being attacked… blasts in the capital… and when we all came together ( at least as per new channels ) was when 26/11 happened! Still we are peace lovers ! Well I am not suggesting an alternative called war to calm them…. My dear ‘peace’ loving friends, can you suggest something else so that we can have a peaceful relation with our neighbors ? Another ‘Dandi March’ ? I am sure even the so called mahatma wouldnt have had guts to sit near the border and do that … Our soldiers are better off than him! Please post your opinions in comments… What can we do? Its high time we think about it !